The Anti-Terror Quartet (ATQ) – Saudi Arabia, UAE, Egypt and Bahrain – has added another Libyan to their list of alleged terrorists, plus an organisation which has three prominent Libyans among its members. Altogether, 11 new individuals and the two organisations have been put on the list. 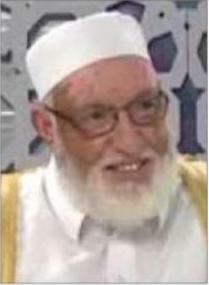 The Libyan named on the ATQ update is Salem Al-Jaber, a radical imam who supported the Benghazi Revolutionaries Shoura Council but fled back to his native Misrata some time ago. A member of the Sharia Research Council at Sadek Al-Gharani’s Dar Al-Ifta in Tripoli, he is also involved with the Benghazi Defence Brigades’ Boshra news agency, itself already on the terror list. Banned by Qaddafi from preaching, he now has a Qatari residency permit and is said to be involved in a number of Qatari organisations, although he remains based in Misrata. Also on the list now is the Qatar-based World Union of Muslim Scholars, headed by Yusuf Al-Qaradawi. Among its leading members are Ali Salabi, seen as the real leader of the Muslim Brotherhood in Libya and already on the list, as well as Salem Al-Sheikhi and Wanis Al-Mabrouk Al-Fasi, both from eastern Libya.